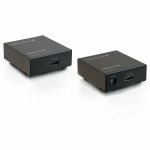 The ST121UTPHDMI HDMI over Cat5 Video Extender Kit with Audio features RS232 and IR Control, and can extend an HDMI (or DVI) signal up to 80-meters (260-feet) using a standard Cat 5 or better (UTP/STP) cable, providing the freedom to place your display where needed without sacrificing image quality. 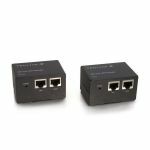 The HDMI over Cat5 extender kit is compliant with High Speed HDMI and HDCP standards, ensuring even the latest devices will be able to pass a signal with support for full 1080p resolutions and the accompanying digital audio. 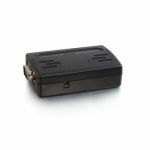 This HDMI extender also features bi-directional RS232 serial and Infrared (IR) interfaces, letting you to control your media source from either end of the connection. 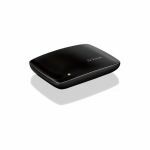 The kit includes the transmitter and a receiver units for a cost-effective, ready-to-use digital signage solution, and built-in mounting brackets for a clean installation. Backed by a StarTech.com 2-year warranty and free lifetime technical support.